Is the Legal Doctrine of Contribution Obsolete in Florida? 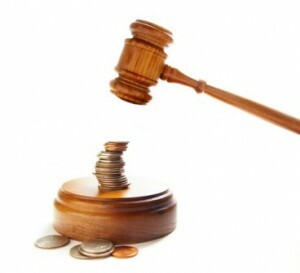 In contrast, section 768.31 states that contribution can only exist when a tortfeasor has paid more than his “pro rata share of the common liability, and the tortfeasor’s total recovery is limited to the amount paid by her or him in excess of her or his pro rata share.”11 Therefore, section 768.31 and Florida’s Comparative Fault Statute, section 768.81, were in direct conflict because the latter restricted a tortfeasor’s contribution beyond his own pro rata share of the entire liability. In sum, the principles outlined in the Wink decision and its progeny clearly mark the end of the Contribution Doctrine in Florida in negligence cases (for now). The extinction of joint and several liability as a result of Florida’s Comparative Fault statute renders the Contribution Doctrine “obsolete” given that judgments are now entered purely on a pro rata finding of fault. Therefore, there is no longer a need or a right to seek contribution from a joint tortfeasor. 1 U.S. v. Atlantic Research Corp., 551 U.S. 128, 138 (U.S. 2007). 2 Sol v. City of Miami, 776 F. Supp. 2d 1375 (S.D. Fla. 2011). 3 Fla. Patient’s Compensation Fund v. St. Paul Fire & Marine Ins. Co., 559 So. 2d 195, 197 (Fla. 1990). 4 Fla. Stat. § 768.31(2)(a) (2010). 5 Albertson’s, Inc. v. Adams, 473 So. 2d 231, 233 (Fla. 2d DCA 1985). 6 See Fla. Stat. § 768.81 (2006). 7 Fla. Stat. § 768.81(3). 8 Fla. Stat. § 768.81(3)(a)(2). 9 See Burns Intern. Sec. Services of Fla. v. Philadelphia Indem. Ins. Co., 899 So. 2d 361 (Fla. 4th DCA 2005). 11 Fla. Stat. § 768.31. 12 See T&S Enterprises Handicap Accessibility, Inc. v. Wink Indus. Maintenance & Repair, Inc., 11 So. 3d 411 (Fla. 2d DCA 2009). 13 Id. at 412-13; see also Fabre v. Marin, 623 So. 2d 1182 (Fla. 1993). 14 Culligan initially filed a third-party complaint, however the defendants named in the third-party complaint were subsequently included in the original action by the injured plaintiffs. Therefore, the Court recognized that Culligan had filed a cross-claim for contribution against several co-defendants. 15 Zazula v. Kimpton Hotels and Restaurants, L.L.C., No. 10–21381–CIV, 2011 WL 1657872, at *2 (S.D. Fla. 2011). 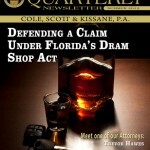 16 Several Florida courts have followed Wink and dismissed contribution claims. See, e.g., Mendez-Garcia v. Galaxie Corporation, No. 8:10–cv–788–T–24 EAJ, 2011 WL 5358658 (M.D. Fla. 2011); Zazula, 2011 WL 1657872; Maguire v. Demos, 2012 WL 859605 (M.D. Fla. 2012). 17 Mendez-Garcia, 2011 WL 5358658, at *4.